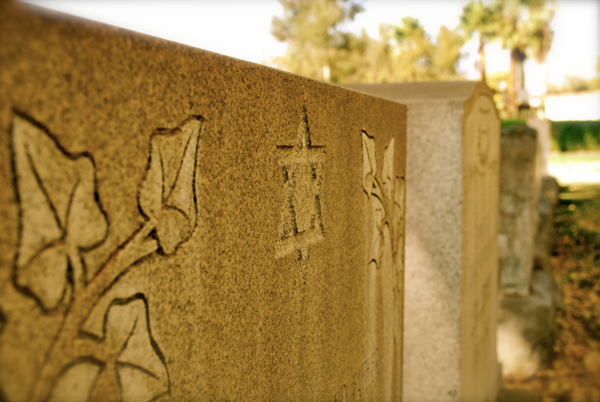 The Home of Eternity Cemetery & Mausoleum of the Twelve Tribes of Israel is the oldest Jewish cemetery in continuous use in Southern California and is designated as a State of California Historic Landmark. It is located at 8th and Sierra Way. Ground burial, mausoleum entombment and cremation niches are offered. The cemetery is managed by its Board of Managers. We encourage members to consider making pre-need funeral and burial arrangements. Click to download more information about the Home of Eternity Cemetery, and then click to read an interview in San Diego Jewish World about our cemetery with Rabbi Hillel Cohn.